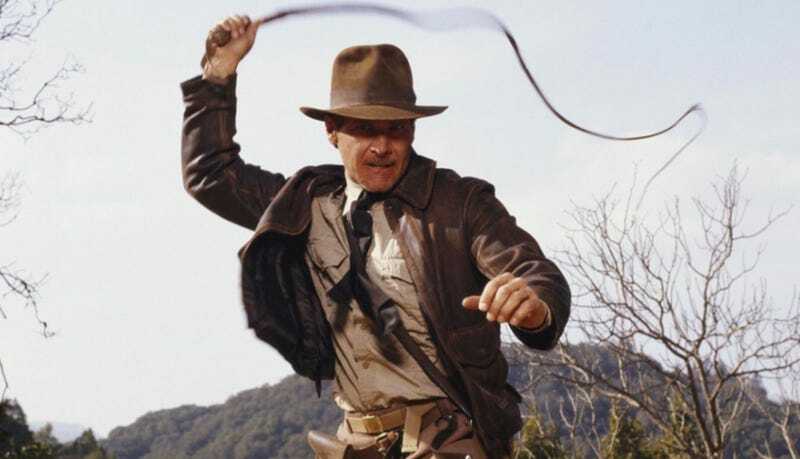 It may be time to hand over that whip, Indy. When Indiana Jones 5 hits theaters in 2020, Harrison Ford will be almost 80 years old. Obviously, it’s past time to pass the fedora, and Steven Spielberg has seemingly suggested that could happen across gender lines. Of course there’s nothing wrong with that. The list of actresses who would absolutely slay an Indiana Jones role is almost too exciting to think about. Jennifer Lawrence? Tessa Thompson? Gina Rodriguez? Daisy Ridley? If Harrison Ford could be Han Solo and Indiana Jones, why not Ridley as Rey and Indy? Plus, even just look at the last few months of movies. Tomb Raider? Annihilation? Hell, Wonder Woman?! Of course Indiana Joan would work. But is Spielberg being serious? And if so, does he mean it will happen in his movie, Indiana Jones 5, or just hypothetically in the future at some point? We already know that passing the torch to Indy’s son Mutt, played by Shia LaBeouf in Kingdom of the Crystal Skull, is out the window—and that Disney CEO Bob Iger has suggested the franchise would be rebooted post Indy 5. So maybe it’ll happen to a worthy apprentice, or perhaps a daughter? If anyone can make it so, it’s Spielberg. We’ve reached out to Disney for a potential clarification and will update if and when we get one. Who would you like to see play Indiana Joan? Let us know below.